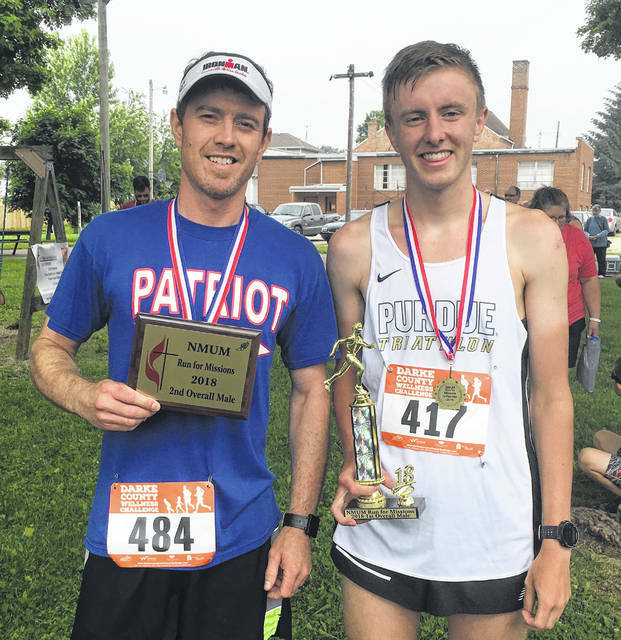 A pair of New Madison men finished in the top two positions for the overall male category in the New Madison United Methodist 5k Mission Run/Walk race held on June 2. The overall race champion was Keenan Fraylick (pictured on the right), who completed the course in 18 minutes, 8.4 seconds. Zac Graham (pictured on the left) was the overall male runner-up finishing the race in 18:49. The overall female winner (not pictured) was Crystal Barton of Greenville. She ran the race in 22:13.5.